Amitabh Bachchan, who turned 68 this month, is in no mood to hang up his boots because the megastar feels he is not done yet. Despite an experience of over 40 years in front of the camera and having clinched his fourth National Award Friday as best actor for playing a 13-year-old progeria patient in "Paa", Big B asserts he will never say never. "They ask me often now, why the need to work. They ask me when I will stop and lie back. They ask me 'have you not done enough?' And my answer is no, I have need to work and I will not stop and lie back. 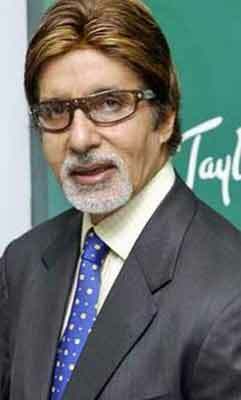 And no I have not done enough," Amitabh posted on his blog. "... And so without argument or comment I work. Work, because perennially it is the right thing to do," he added.